The price of beauty can be high. After buying mascara, eye shadow and my own personal addiction, lipstick, it is easy to look into your newest bag of goodies and feel that dreaded feeling – buyer’s remorse. Why not try to ease that guilty feeling by giving a little something back? Low and behold: beauty with benefits. Here are just a few beauty items that can make you feel better about buying that fabulous new shade of shadow you have been eyeing. One of the products that has me reaching for my wallet is Peacekeeper Cause-Metics nail polish. It is organic, vegan and it donates all of its after-tax profits to women’s health and human rights organizations with a spotlight on women living in poverty and servitude. 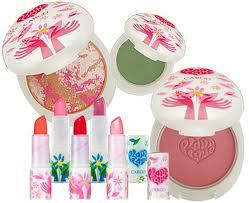 Peacekeeper is not just all about the nails either; they offer a range of lip balms, glosses & lip paint as well. One of the most interesting product lines I came across was the CARGO PlantLove professional collection. What stands out the most about their products is how unique their packaging is – all of it is made of corn! My favorite packaging is of their lipsticks. The package has little wildflower seeds in it, and so after your lipstick is done, you can wet it down, plant it & voila – instant garden! You can pamper your inner flowerchild at www.cargocosmetics.com/products/plant-love . Also, two dollars from every sale of their lipsticks go to The Saint Jude’s Hospital. 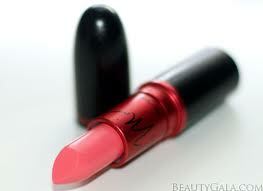 Another brand that stands out in my makeup bag is NYX Cosmetics. I first found the brand when I would sport rainbow hued eyes and a band tee, though my style has changed, it is a company I trust – with good reason. One of their sensational products it their Doll Eye mascara. 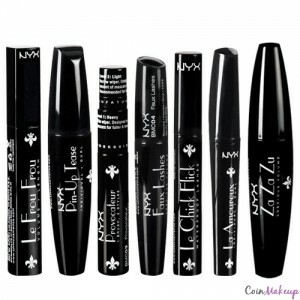 You can choose from waterproof, lengthening or volumizing and it delivers on its promise of full & flirty “doll eyes”. 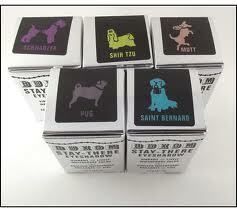 What makes this company even more desirable is how NYX has always been a proud supporter of many charities. They are most involved with the needs of children, such as The Art of Elysium, Children’s Institute Inc & Musicares to name a few organizations. So go ahead and get all dolled up, NYX can be found at Drugstores across the city & at http://www.nyxcosmetics.com. Whether your must-have make up item is a bright lipstick, statement shadows or amazing mascara, why not beautify yourself inside-out by buying make up that makes a difference? If someone asks you why you need yet another shade of lipstick, just tell them you are trying to save the world!